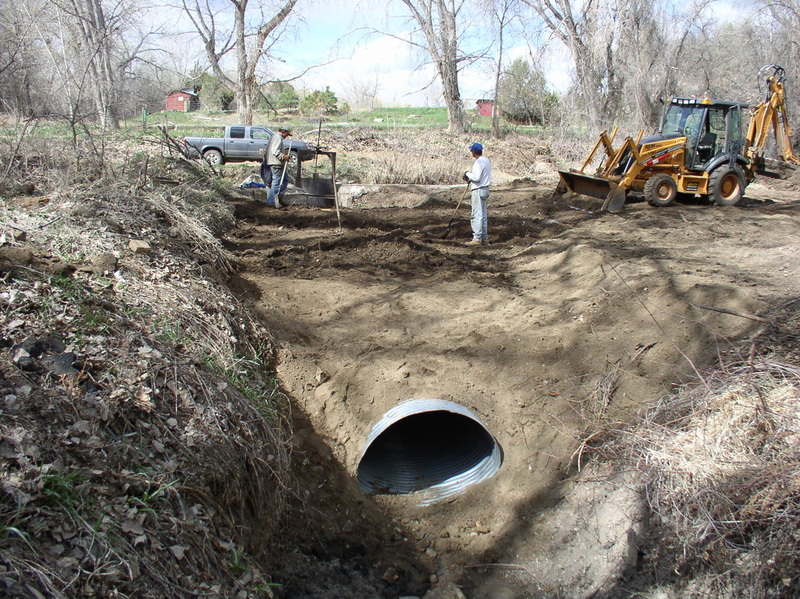 In 2010, the Fremont Conservation District cost shared with 3 local ditch companies to upgrade existing water delivery systems. Upgraded 2 irrigation control head gate spills at the intake and measuring gates of the Fremont County ditch. These needed replaced due to being vulnerable to washout and leakage. Failure of these structures would have caused no irrigation water delivery to 160 shareholders, many of who are agricultural producers. There was installed 60' of 42" oval pipe on the spills 5' from the gate and the balance was finished in concrete. Replaced and relocated 780' of leaking clay pipe with plastic pipe at the Ditch 2 lateral. Relocation and repairs benefited all 24 shareholders and removed water flow to residential properties not on the ditch. Helped to provide better water quantity to the irrigated acreage on the ditch. Constructed a parallel irrigation line to an existing line to shorten water rotation time to shareholders. The construction of the parallel line benefited 10 shareholders irrigating 61 acres. There was a supplemental benefit to an additional 50 shareholders and 231 acres by having more water available to more shareholders at the same time. This parallel line eventually benefits all 540 shareholders and 3534 acres in the Beaver Park Water System.